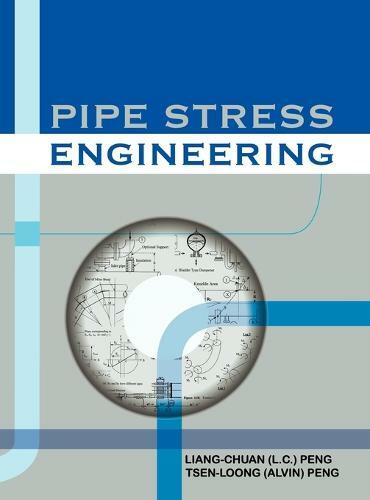 An up-to-date and practical reference book on piping engineering and stress analysis, this book emphasizes three main concepts: using engineering common sense to foresee a potential piping stress problem, performing the stress analysis to confirm the problem, and lastly, optimizing the design to solve the problem. Systematically, the book proceeds from basic piping flexibility analyses, spring hanger selections, and expansion joint applications, to vibration stress evaluations and general dynamic analyses. Emphasis is placed on the interface with connecting equipment such as vessels, tanks, heaters, turbines, pumps and compressors. Chapters dealing with discontinuity stresses, special thermal problems and cross-country pipelines are also included. The book is ideal for piping engineers, piping designers, plant engineers, and mechanical engineers working in the power, petroleum refining, chemical, food processing, and pharmaceutical industries. It will also serve as a reference for engineers working in building and transportation services. It can be used as an advance text for graduate students in these fields.